Bobcat was founded in 1945 in Gwinner, North Dakota. Originally the Melroe Manufacturing Company, it was sold to Clark Equipment Company in 1969. Clark sold it to Ingersoll-Rand in 1995. 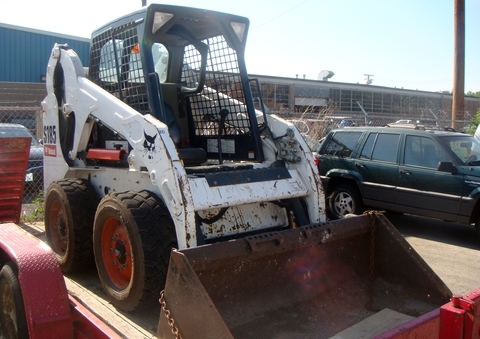 The Bobcat Company is now a subsidiary of the Doosan Group in South Korea, having been sold again in 2007. 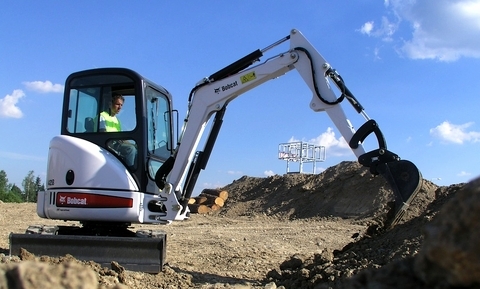 In 2008 and 2009, Bobcat won awards for the engineering and design of some of their excavators. 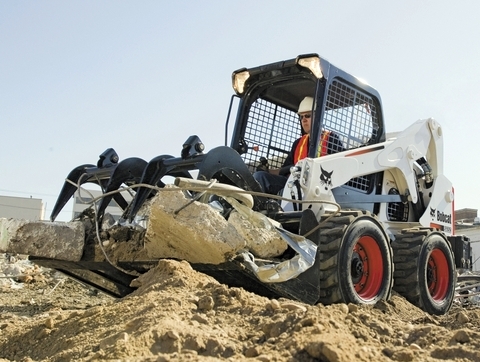 Bobcat excavators are compact, or mini, in size. The company has recently re-engineered their line of mini excavators, releasing the M series of eleven excavators. These include zero, minimal and conventional tail swing machines. All of the new Bobcat excavators have some features in common. Redesigned engine, cooling and exhaust systems, air intake, and pump and valve design make the engine run smoothly, increasing efficiency and reducing noise levels. Overall machine weight has been lowered, even while performance has improved. Best in industry cycle times accompany excellent digging and lifting performance. Traveling between jobsites is easier and quicker than ever. An auto-idle function improves fuel efficiency by reducing consumption. Productivity is boosted through operator comfort design in the cabins. Much lower noise levels also increase operator endurance. The E32 is one of the smallest Bobcat excavators, narrow enough to fit through doors and gates. This model has a conventional tail swing design. Operators are more productive in the large comfortable cab for its class, with ergonomic foot travel pedals and fingertip hydraulic controls. The king-size suspension seat and arm rests are adjustable for ultimate comfort. Cup holder and a power source for cell phones and other electronics are also included in the cabin. Stability and performance stay at high levels with the X-frame undercarriage design. The cabin door can be latched open within the width of the machine. There is even a lockable storage compartment under the seat for essential tools. One of the largest of Bobcat excavators is the model E80 zero tail swing compact excavator. This long arm model has a very roomy cab and adjustable deluxe seat. The hydraulic system provides smooth, responsive controls and high performance levels. Operators can save time and money with the E80’s 250-hour greasing cycles. The engine idles after four seconds of no use, increasing fuel efficiency. This machine’s digging force of 12,229 can handle many tough jobs in narrow workspaces. For dirt moving jobs, check out this award-winning new line of Bobcat mini excavators.